With an estimated 1.3 million people suffering from a work-related illness, and 30.4 million working days lost due to work-related illness and workplace injury, it is becoming increasingly important for employers to provide workplace support for their employees. 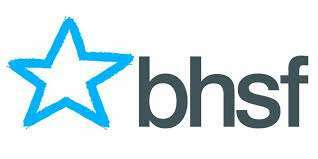 At Centric HR we have teamed up with BHSF. BHSF Occupational Health (OH) is concerned with the impact of work on health, and of health on work. It is designed to prevent work-related ill health, and to support businesses in the management of health issues at work, by providing access to impartial, specialist support. BHSF believe strongly in a customer-focussed approach and will work closely with you from the outset to understand the needs of your business, and deliver a high-quality service which is both cost-effective and fit for purpose. Their not-for-profit status means that they can invest in true quality, while still maintaining good value for money. BHSF Occupational Health provides a national occupational health service and with the help of their strategic alliances, they are able to offer a ‘one stop shop’ for all your occupational health needs, which includes additional services such as ergonomic and physiotherapy, and mental health. BHSF is committed to delivering high-quality, affordable products and services. They have a range of employee benefits which can help improve employee engagement, demonstrate a duty of care to your employees and have a positive effect across your organisation. Whether you are looking for assistance with your everyday healthcare, help and support through stressful times, or a range of comprehensive insurance products, BHSF has it covered. Their employee benefit services range from an EAP telephone service, an online discounts website, a web application and a 24/7 GP helpline, as well as a salary sacrifice scheme that can be used for childcare vouchers, cars and personal computers.